From CrossFit and SoulCycle, to the rise of ClassPass, it’s no secret that our generation wants to get fit and do it in a class environment. Who can blame them? Unlike working out solo, exercise classes assign an expert carefully curate a workout that will get you in shape and keep you motivated. I spent nearly a year attending, dissecting, and reviewing fitness classes all over NYC for my podcast “The Cool Down.” Here’s what I’ve learned are the best criteria to pick the right class for you, and get the best sweat for your buck. A fitness class’s size can affect your workout in multiple ways. First, there’s the simple issue of logistics and safety. If you’re attending a dance-based class, or something with a lot of full body movements, you want to pay attention to how much space is available. Movement based classes are best when there’s a wide open space with fewer people. Second, classes with too many people prevent attendees from getting personalized attention and help from the instructor. Even if you’re a fitness fanatic, chances are you’ll mistake. If your instructor is stretched too thin they may miss a chance to correct something that could prevent a major injury down the line. Lastly, a class’s size can affect your comfortability during your workout. If your newer to exercise, or trying something out of your comfort zone, you might feel more comfortable getting “lost” in a larger crowd of people. Tip: Plan ahead. Stop by the class before you sign up to check out not only the size of the space, but how big the crowd is. While you may be religiously devoted to your exercise of choice, it’s important to pick a fitness class that tackles multiple disciplines. Typically, I’ve found that most studios advertise themselves as being able to improve one or two things (strength, cardio, flexibility, weight-loss, etc.). But any class worth the price of attending will make a point to at least incorporate different areas. Orange Theory is a great example, where getting a “total” workout is the goal of each class. Tip: Cross training will help keep you more fit in the long run by preventing injury and improving conditioning. These factors can expose you to interesting and new routines to use outside of class. The quality of the instructor makes or breaks the fitness class experience. The last thing you want is a checked-out babysitter just waiting for their shift to end. Your instructor’s energy should amp you up for your workout. Their genuine love for what they do, helping people have the greatest workout possible, should be motivating beyond belief. It’s much easier to stay motivated when it’s clear the person leading the class is having a blast too. Most importantly, your instructor should have a deep understanding of the exercise offered. Not only that, they should be highly attentive to each attendee. Combined with a properly sized class, these qualities will ensure each person is in a safe and effective environment. This ensures everyone who took the class will walk away a little more educated than before class started. Tip: Pick an interactive instructor. Nothing is more inspiring than an instructor who does the work with you. It can push you to do and be your best. If you’re going to be spending the money for a fitness class it better be offering something you can’t get anywhere else. 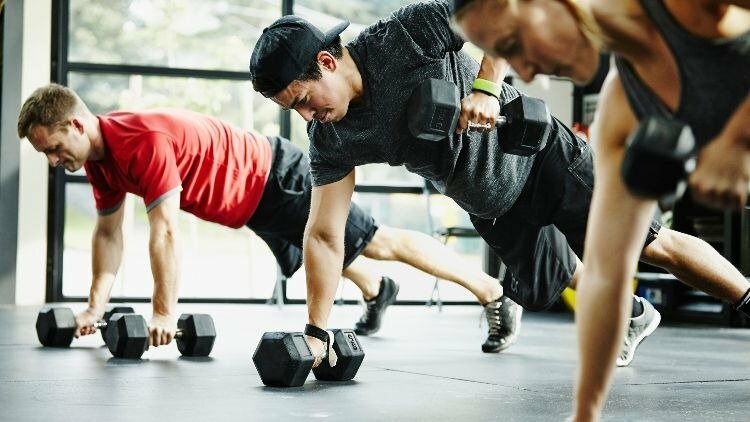 Whether it’s the equipment, instructors, or the studio’s atmosphere that draws you in, make sure the workout is unique enough to be worth your time. I can remember one class, which shall remain unnamed, that was so dull my co-host and I didn’t even bother giving it a bad review. Essentially it was just several trainers running around telling 3o of us to do one bodyweight exercise after another. 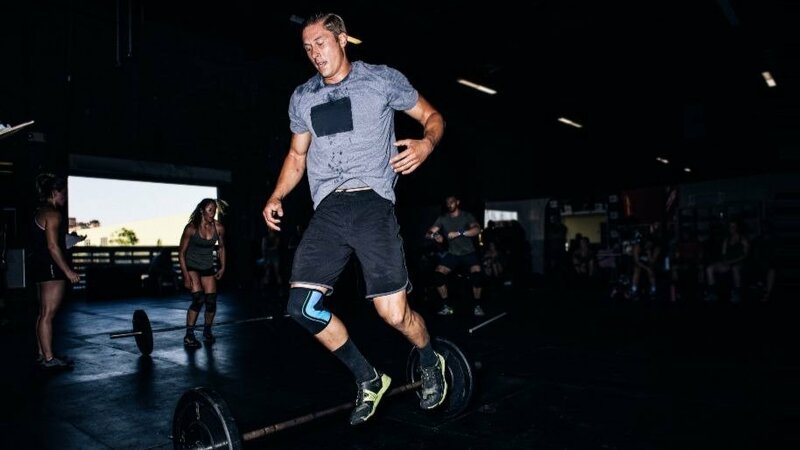 Tip: If you can curate and execute the workout with ease, look for something more challenging. Yes, price. The most obvious criterion is clearly the most important. However, price goes way beyond the cost of a single attendance. Studios want to have loyal followers, so many will offer a discounted or free first-time offer. If you fall in love with their fitness class, check to see how much their multi-class packages cost, and calculate the savings. Tip: By calculating the price ahead of time, you can buy a bigger, better package that will motivate you to actually show up.